I am so loving all of this company in my land galley lately. This time my guy offered to make us his special Pigs in a Blanket. 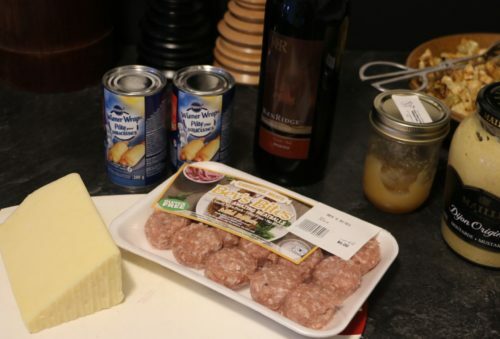 Some sharp cheddar, weiner wraps (found in your dairy section) and this time he thought we should use meat from our fave local butcher. 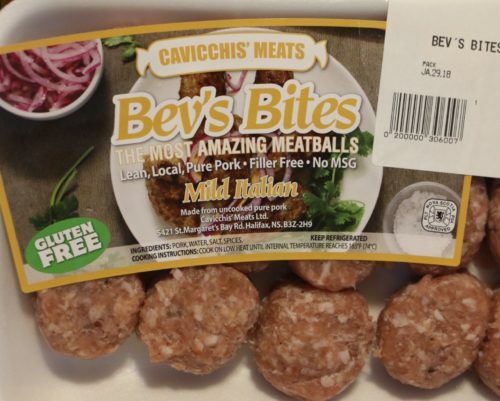 Cavicchi’s makes the best sausage bites, little meatballs, gluten free with the perfect blend of spices. This time, mild Italian. To keep with the simple-no-oven-in-my-galley focus of the blog, I stole four of his creations to see how well they cook in my Omnia stove top oven. Another Omnia success! They even browned nicely and the meat inside was perfectly cooked. The rest Francois cooked the traditional way in our land oven. Same amount of time as stove top method all perfectly cooked inside and out. 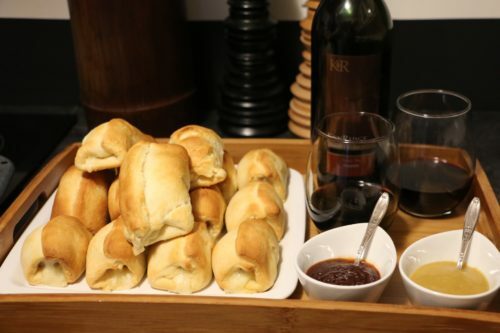 Served up with a couple of sauces for dipping (my favourite – honey mustard and Francois’ fave – habanero tequila). Happy Happy Hour, Galley Peeps! Line baking sheet with parchment paper or if using the Omnia stove top cut a piece to fit onto the baking rack. It makes clean up a lot easier. Crack open the weiner wraps. Lay a meatbal on each piece of dough. 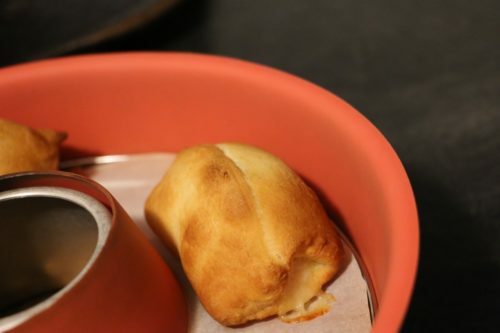 Top with a piece of cheese and bring the sides of the dough to cover the meatball, pinching the sides together gently. 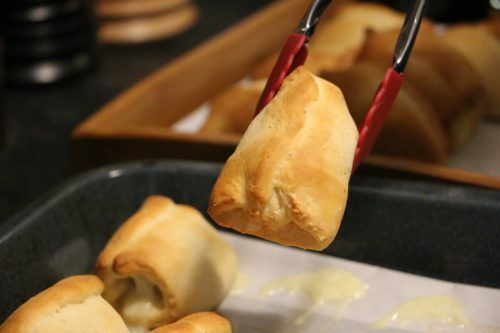 If using a conventional method, bake in a pre-heated 400 ° F for about 15 minutes until dough is golden brown. 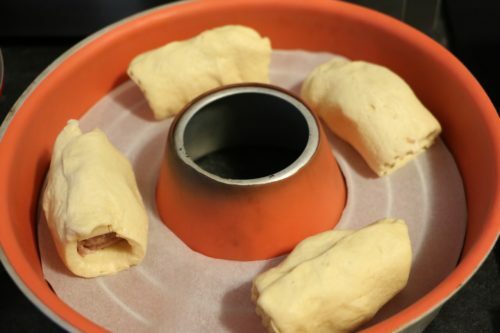 If using Omnia stove top, place each wrapped meatball on cooking rack, cover and place on pre-heated base. Cook on high for 5 minutes, then reduce heat to medium low and continue to cook until golden brown, about 10 more minutes. Because you are starting with uncooked meat you may want to cut one piggy open to make sure it’s fully cooked. Your choice of meat may cook more slowly than the one we used or pre-cook your sausage bite to be sure.